The First Time Buyers’ Initiative was set up by the government to try and tackle the problem of affordable housing for key workers. It is intended to assist key workers and those on low incomes to get on the property ladder. Siobhan had been working as a primary teacher in her local school in Huddersfield for about one year. She was thinking about buying her own property in the area but knew she would not be able to afford her own house on her £19,000 income. She had heard of special mortgages for people such as teachers but she didn’t know where to start looking for one of these. “The first people I got in touch with where my local council, they were able to direct me to the correct council department. They told me I would need to speak to one of their HomeBuy agents. 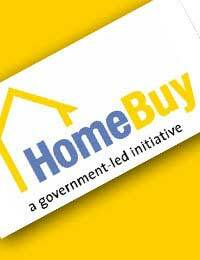 These worked on a local level for governments to help oversee the home buying process. They asked me a few questions over the phone to make sure I qualified and then they invited me in for an interview,” explains Siobhan. There are around 23 regional HomeBuy agents in England, it is their job to make sure that the initiative works on a local level. They are there to provide help and support and guide the first-time buyer through the process. Siobhan says: “My first meeting with the agent was successful; he went through with me what I needed to do to apply for the first-time buyer initiative and how long it would take. She told me what lenders were offering the first-time buyer initiative and what would be the best way of applying. Siobhan had borrowed around £5,000 from her parents but had no money for a deposit herself, under the scheme though borrowers only need to put down 5%, so she was happy that this would be enough.She was informed that any deposit she has must then be added to a mortgage from a lender, which should total 50% of the property’s value. The buyer must take out an affordable mortgage, which along with any deposit, must make-up a minimum of 50% of the full purchase price. The government would then make up the remaining 50%. This would mean that when the property is sold the government will be entitled to a 50% share of whatever it sells for in the future. “There were a few things that needed to be checked before I could get the mortgage. I had to have a credit check carried out on me to make sure that I did not have a bad credit history and that I had not taken out a mortgage in the past and that I was a first-time buyer,” explains Siobhan. Once the agent had established that Siobhan was eligible for the scheme, he was then able to explain which properties were available for the scheme. Siobhan would need to buy in her local area as part of the criteria for the scheme. “Once I had my mortgage offer I was able to look at different properties and see which ones fitted into my price range. I chose a two-bedroom flat in the centre of Huddersfield for around £95,000. My offer was accepted and I was ready to move in and start decorating,” says Siobhan. “Even though the government owned half of my property it did not feel any different to if the mortgage lender or bank did. I knew I would have to sell them a percentage of the property when I sold it but this was fine as they had enabled me to get on the housing ladder in the first place,” says Siobhan. Over the next few years, Siobhan tried to increase her monthly payments to the government so she could own more of the property. Under the scheme you can pay an extra 10% of the property’s value. The First Time Buyers’ Initiative is a great way to get on the housing ladder if you are a key worker, or cannot afford to get on the property ladder, it does somewhat limit your options for which properties you can buy, but this is normally worth it to achieve the end result of owning your own home.